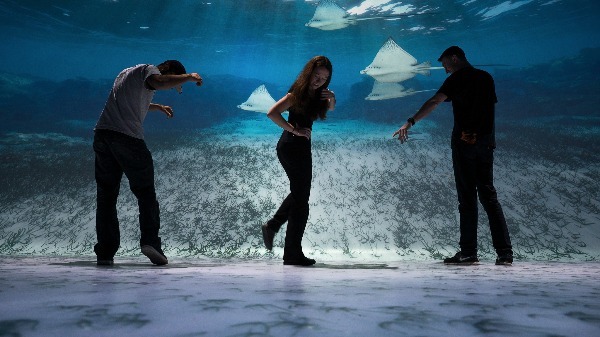 Encounter is an immersive adventure across the ocean, from the South Pacific to the coast of California. 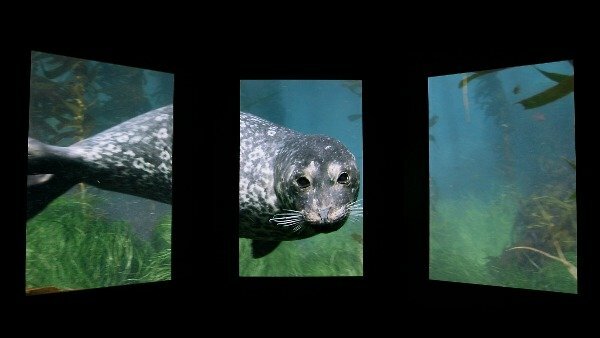 Instead of taking animals out of their homes, Encounter’s groundbreaking technology transports you to theirs, using stunning photorealistic animation that gives you access to rarely witnessed moments in nature. 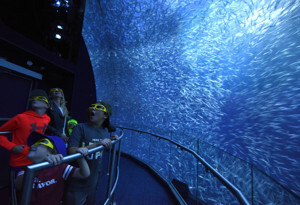 Journey with your friends and family on this walk-through experience, where you’ll visit a luminous coral reef at night, witness a battle between two ferocious Humboldt squid, find yourself in the middle of a magnificent 3-D feeding frenzy, and much more. 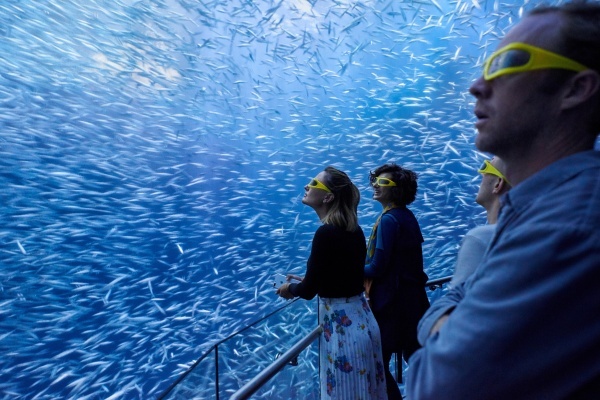 The adventure continues in Exploration Hall, where you’ll hear breathtaking stories from National Geographic ocean photographers and explorers, take on ocean gaming challenges, and discover how to be a hero for our natural wonders in everyday life. Dive into an ocean of fun in the heart of Times Square without getting wet! 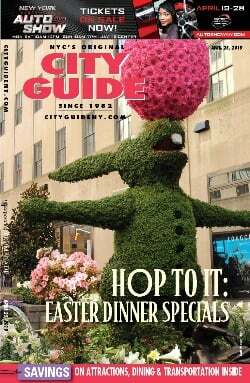 New Attractions in New York City: NFL, Nat Geo & More! 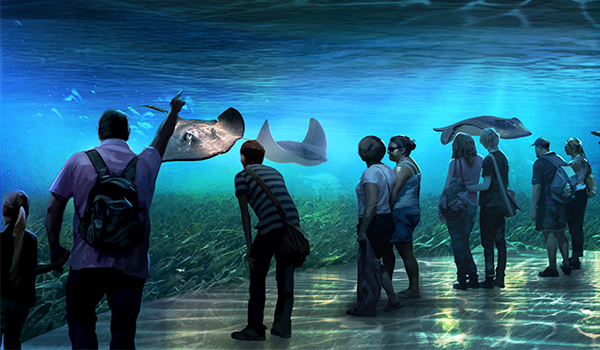 National Geographic Encounter: Ocean Odyssey Now Open in Times Square!